You know how obsessed I am with nailpolish and nail art, and so it has been such a challenge for me to pick just 3 nailpolishes that I really really do love. Okay, let’s jump right into it. 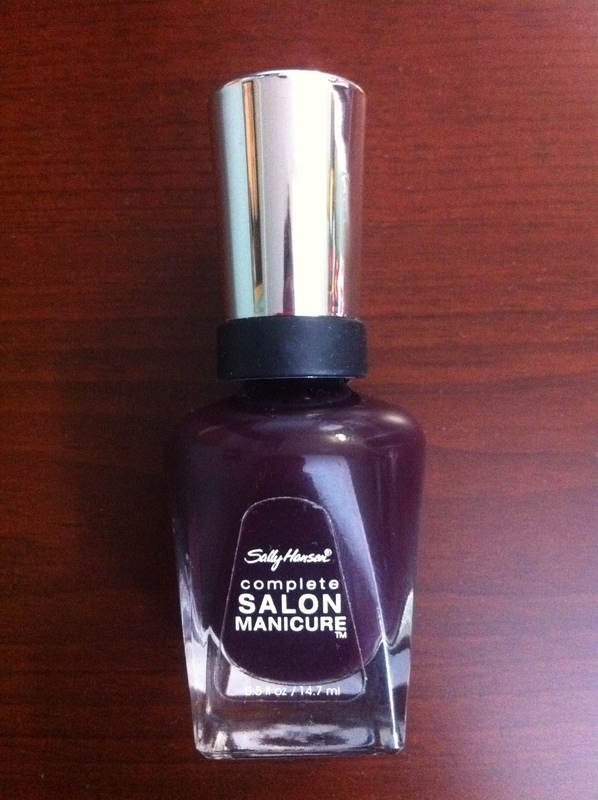 My #1 favourite is Complete Salon Manicure by Sally Hansen in color ‘Pat on the black 660’. I own different nailpolishes by Sally Hansen, but I feel like Xtreme wear and Diamond Strength don’t dry too fast and start chipping too soon. The color is gorgeous. Apply one coat and you get a beautiful creamy purple/burgundy, apply two, and it’s almost black. It’s opaque, not sheer at all, dries VERY fast. The brush is amazing too, and it stays on for good 5-7 days. But this color is sooooo beautiful in person, it’s darker, almost burgundy. 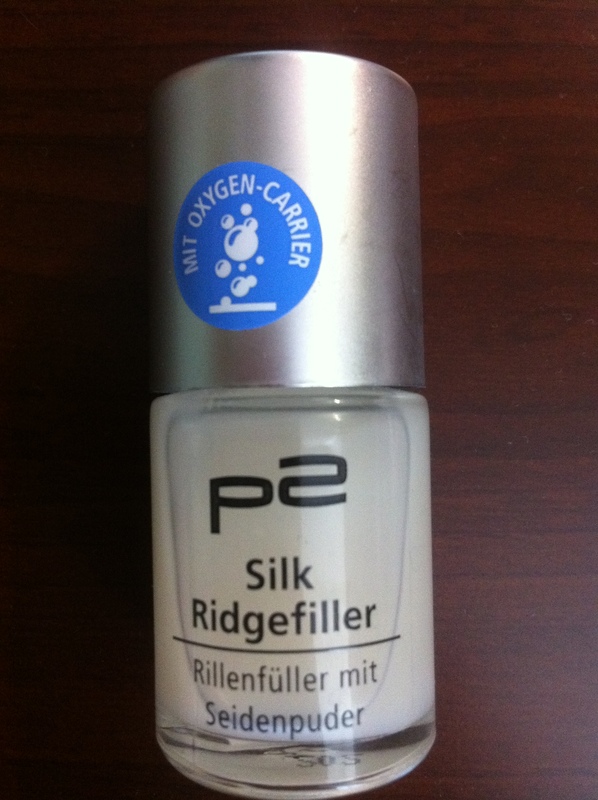 The third place goes to P2 Silk Ridgefiller. I love this stuff. I got it as a gift from a friend, who lives in Germany. 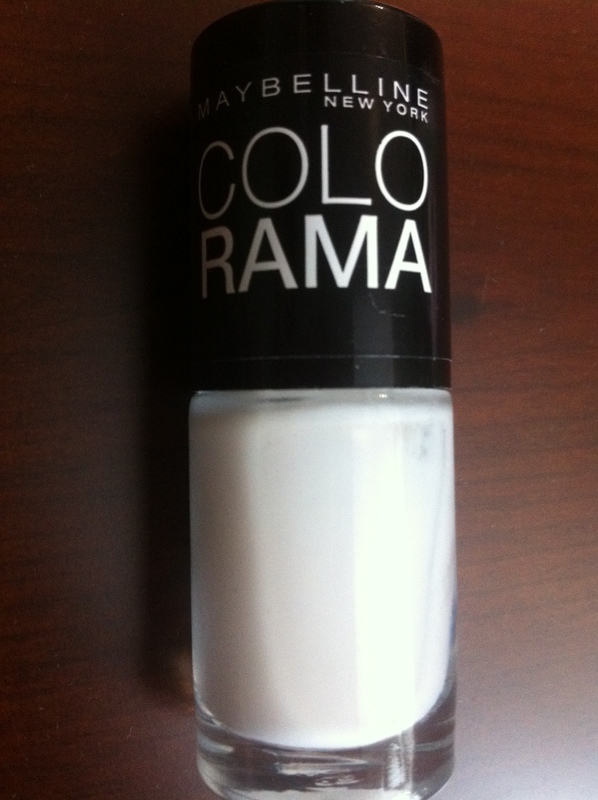 It doesn’t have any color, but it leaves my nails looking so naturally beautiful and polished. The finish is almost matte. It dries fast, and I love how it feels on my nails. Also, I know that some people use it as a base coat, but for me it doesn’t work like that. It literally takes 100 years to dry after I apply a second coat of nailpolish. And now, the Nailpolish Disappointment. 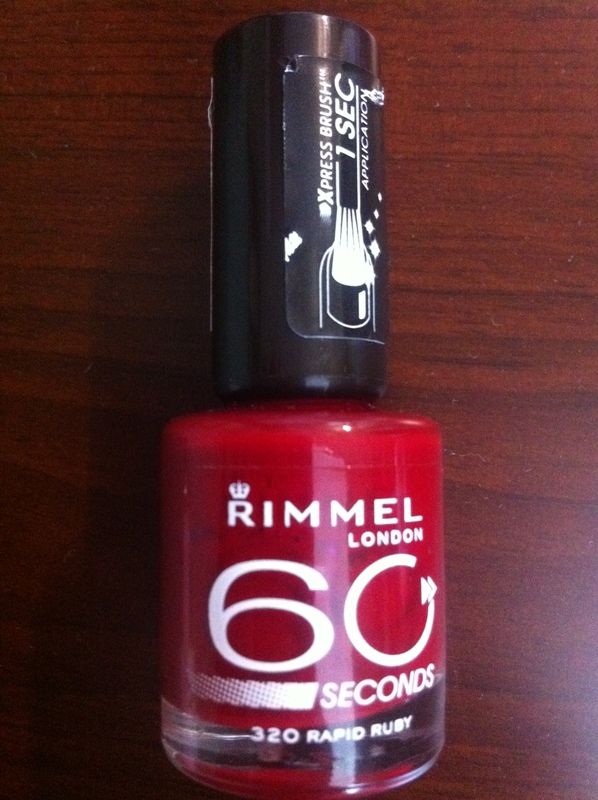 It’s weird because overall, I like Maybelline makeup and nailpolishes, but this one was just horrible quality!! !